About two weeks ago, I made a stupid mistake while riding. It could have been much worse than it was, but because I remained calm I was able to get out of the situation without getting into an accident. 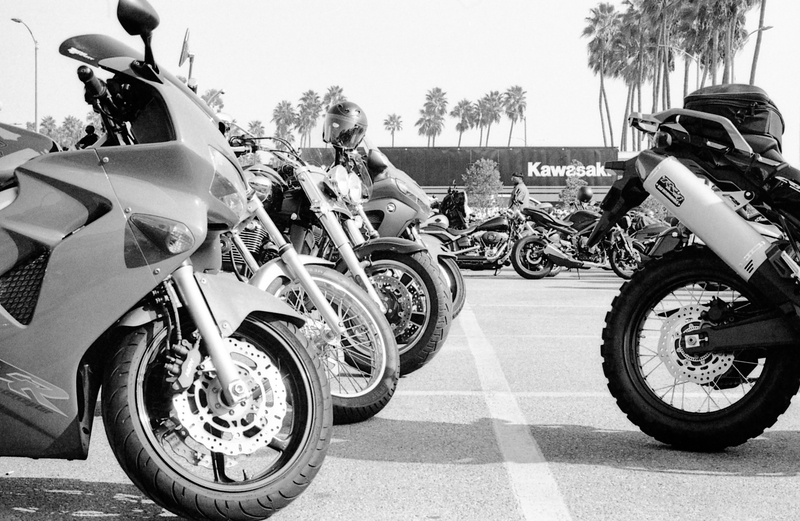 A clear mind and a cool demeanor are two traits all riders should attempt to maintain while driving in Los Angeles. The incident happened a little after ten o’clock at night. I was on my way home from work, and I was on the US 101. On this particular night, it seemed like traffic was flowing pretty freely. I’ve found whenever there’s a bit of breathing room on the freeway, drivers like to speed up and push the limits. At times it can feel like you’re on a NASCAR track. It was this kind of a night for sure. In these instances, I like to stay aware of my surroundings, and I regularly check my side mirrors to make sure there are no cars sneaking up on me too fast. I was maybe a mile or two from my exit when traffic slowed down significantly on the freeway. Around the Hollywood area, traffic tends slow down, then usually crawl a little as you pass the Koreatown exits. This is the case even at night. So, I was expecting this shift in speed, however, many of the cars around me were not and began slamming on their brakes and switching lanes. Since I was in the far-left lane and needed to get over, I checked my side mirror and discovered a motorcyclist speeding up behind me splitting lanes. I waved at him to pass me as I would be looking to get over and not split like him. Immediately after he passed, I noticed my engine losing power. I didn’t know what was happening, but I stay calm and pushed the start button a couple times. With cars still speeding around me and catching up, I veered into the shoulder to my left as my bike was still rolling. I then noticed I’d accidently hit the kill switch after I waved the rider to pass me. So, I flipped it back to on and then fired up my engine. It started right away without any problems. Of course, I felt really stupid for doing this, but I was also proud of myself for not freaking out and making matters worse. It’s easy to panic and overreact in stressful situations, but keeping clams is always best for motorcyclists.